Edgewater design group designed our dream house. From beginning to end, the experience was superior. The project is now complete, and we are extremely happy with our new home. During the design process, the design team was highly professional, enthusiastic, insightful, and very easy to work with. They were passionate when trying understand our personal style as well as what we were looking for as far as function in a home. They asked questions and really listened to our answers. We were able to see our home develop as the plans went from lists, to paper sketches to a more comprehensive blueprint type sketch to a 3 dimensional computer design where we got a virtual tour and could make changes to things like roof lines and make additions/deletions if we wanted. At each meeting, the design team was very warm and receptive while welcoming any questions we had or changes we thought about making. The team also offered their professional advice and suggestions at all the right times. Thanks to the expertise and creativity of the design team at Edgewater, we were able to get exactly what we wanted. We HIGHLY recommend Edgewater Design Group! 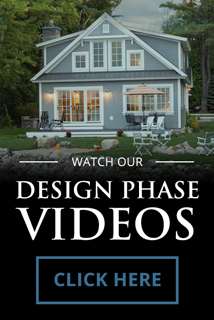 My Wife and I hired Edgewater Design to design our new home in Northern Michigan. We didn't have previous knowledge of their firm, we found them on the internet through their website. We felt comfortable and confident with Stephanie and her team after our first meeting and decided to hire them. They are very passionate about their work, they have great design ideas, and they have current technology to go through the drawings as they develop. We really enjoyed working with them, and think that their process, and finished product is really good! We would look forward to having them design another home, and would highly recommend them to anyone wanting to build a custom home. Stephanie and the team at Edgewater Design Group are fantastic to work with. We designed a custom 4,200 sq ft lakefront home from start to finish and couldn't be happier with the outcome. It's a world-class design! We're really enjoyed the process and we're happy with the cost as well. I'm a real estate professional with over 20+ years experience, and Edgewater is one of the best full service architects I have worked with. They exceeded our expectations. I would highly recommend putting them on your short list of firms to work with. The Quiet Moose has worked on several projects with Edgewater Design Group and their team over the course of several years. This firm continually proves to be an incredibly talented and professional group to work with. The drawings and designs that are created by this firm are everything that an interior designer would want from an architect. When we have the opportunity to work with Edgewater Design Group we know that the interior design was thoughtfully considered as part of the whole project with a mindfulness to the aesthetic and functionality of each piece and for each individual client. We look forward to collaborating with Edgewater Design Group bin the future and highly recommend them! 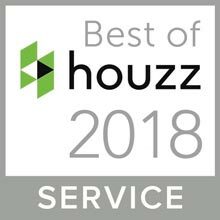 We would like to publicly comment about our extreme pleasure with the architectural firm of Edgewater Design and the owner, Stephanie Baldwin. In August 2017, we initially contacted Stephanie regarding the need for some architectural design concepts on a cottage that we were considering as a tear down and new construction. Great initial concepts that were developed regarding what we were after providing only the need for minor tweaks to get to the final design. Very easily worked with the builder to incorporate some cost reduction ideas. Very responsive and timely with any revisions requested. Professionally represented us at the three (3) zoning Board meetings leading to a 5-0 vote at the final meeting. Bottom line, we are extremely pleased with the design work. We would highly recommend anyone to strongly consider the use of Edgewater Design for their architectural needs. You will not be disappointed! Edgewater Design Group has just made my dream home come true! They are amazing!!! I loved seeing my home in 3D as we went through the design process! The plans are complete and we are ready to build! So exciting! Thank you Stephanie, Michelle and the rest of the team for listening to me tell you what I wanted, asking me important questions about our living style, incorporating that into your design, then putting it all on paper and 3D. Thank you for the suggestions and input along the way. Your knowledge and ideas and ability to see potential problems etc. was amazing. I love love love my new home! You are all the best at what you do! Edgewater went above and beyond from day one. At one point they acted as attorney, designer, architect, builder, project manager, and maybe throw in therapist. What exceeded your expectations about our company and services? Did we make the process less stressful? You were with us every step of the way. Edgewater cared as if it was their own home. What would you tell someone considering using our services? Absolutely recommend anyone to use Edgewater if you want unique design, high attention to detail, and deep experience. Made what could be a stressful process for many a very fun experience. What surprised you or made you the most happy about our services? Can you think of a word or phrase that best describes your relationship with us? I believe it is the best design for the dollar. Period. It has been fun and exciting working with my architect, Edgewater Design Group, in Petoskey. Stephanie and her team have diligently worked with me to get the dream home in my thoughts onto beautiful printed plans, even including my family and dogs into various prints! A referral from a local friend of the family led me to Stephanie's firm and I immediately felt in expert and friendly hands. Edgewater Design Group has helped me through a process with ease which for some can be grueling.